Call number: 420.74 L675I Material type: BookPublisher: Hove, England : Language Teaching Pub., 2001, c1997Description: 223 p.Availability: Items available for loan: PYULIB-CL [Call number: 420.74 L675I] (1). Call number: 428.007 L675L Material type: BookPublisher: Australia : Thomson/Heinle, c2002Description: ix, 200 p.Availability: Items available for loan: PYULIB-CL [Call number: 428.007 L675L] (1). The practice of English language teaching / Jeremy Harmer. Call number: 428.007 H287P 2002 Material type: BookEdition: 3rd ed., completely rev. and updated.Publisher: Essex, England : Longman, 2002, c2001Description: xii, 370 p. : ill.Availability: Items available for loan: PYULIB-CL [Call number: 428.007 H287P 2002] (1). by Lewis, Michael | Hill, Jimmie. Call number: 420.77 L675P Material type: BookPublisher: Hove, England : Language Teaching Pub., 1999, c1992Description: 136 p.Availability: Items available for loan: PYULIB-CL [Call number: 420.77 L675P] (1). Call number: 418.002854678 D845I Material type: BookPublisher: Cambridge : Cambridge University Press, 2001, c2000Description: x, 181 p. : ill.Availability: Items available for loan: PYULIB-CL [Call number: 418.002854678 D845I] (1). Call number: 420 R628E 2001 Material type: BookEdition: 3rd ed.Publisher: Cambridge : Cambridge University Press, 2001, c1983Description: xiii, 283 p. : ill.Availability: Items available for loan: PYULIB-CL [Call number: 420 R628E 2001] (1). Call number: 418.007 U72C Material type: BookPublisher: Cambridge, U.K. : Cambridge University Press, 2002, c1999Description: xii, 142 p.Availability: Items available for loan: PYULIB-CL [Call number: 418.007 U72C] (1). by Lightbown, Patsy M | Spada, Nina. Call number: 401.93 L723H 2002 Material type: BookEdition: 2nd ed.Publisher: Oxford : Oxford University Press, 2002, c1999Description: xvi, 192 p.Availability: Items available for loan: PYULIB-CL [Call number: 401.93 L723H 2002] (1). Call number: 153.35 N122F Material type: BookPublisher: New York, N.Y., : Jeremy P. Tarcher/Putnam, c1990Description: ix, 208 p. : ill.Availability: Items available for loan: PYULIB-CL [Call number: 153.35 N122F] (1). English for primary teachers : a handbooks of activities and classroom language / Mary Slattery, Jane Willis. by Slattery, Mary | Willis, Jane. Call number: 372.6 S631E Material type: BookPublisher: Oxford : Oxford University Press, 2003, c2001Description: vii, 148 p.Availability: Items available for loan: PYULIB-CL [Call number: 372.6 S631E] (2). Doing second language research / James Dean Brown and Theodore S. Rodgers. by Brown, James Dean | Rodgers, Theodore Stephen. Call number: 428.0072 B878D Material type: BookPublisher: Oxford : Oxford University Press, 2002Description: xiv, 314 p.Availability: Items available for loan: PYULIB-CL [Call number: 428.0072 B878D] (1). Call number: 428.007 E47T Material type: BookPublisher: Oxford : Oxford University Press, 2003Description: x, 387 p.Availability: Items available for loan: PYULIB-CL [Call number: 428.007 E47T] (1). Call number: 372.66 P555D Material type: BookPublisher: Oxford : Oxford University Press, 2001, c1999Description: 151 p.Availability: Items available for loan: PYULIB-CL [Call number: 372.66 P555D] (1). by Phillips, Diane | Burwood, Sarah | Dunford, Helen. Call number: 372.6 P554P Material type: BookPublisher: Oxford : Oxford University Press, 2002, c1999Description: 152 p. : ill.Availability: Items available for loan: PYULIB-CL [Call number: 372.6 P554P] (1). Call number: 418.007 U72C Material type: BookPublisher: Cambridge, U.K. : Cambridge University Press, 2002, c1991Description: xiii, 375 p.Availability: Items available for loan: PYULIB-CL [Call number: 418.007 U72C] (1). Researching pedagogic tasks : second language learning, teaching and testing / edited by Martin Bygate, Peter Skehan, Merrill Swain. by Bygate, Martin | Skehan, Peter | Swain, Merrill. 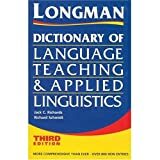 Call number: 418.0071 R432 Material type: BookPublisher: Harlow, England : Longman, 2001Description: x, 258 p.Availability: No items available Checked out (1). by Richards, Jack C | Renandya, Willy A. Call number: 418.0071 M592 Material type: BookPublisher: Cambridge, U.K. ; New York, N.Y. : Cambridge University Press, 2002Description: vii, 422 p.Availability: Items available for loan: PYULIB-CL [Call number: 418.0071 M592] (2).